Welcome to Wagjag.com - please carefully read the following terms and conditions Your use of this web site and purchase of a Wagjag.com voucher (hereafter referred to as “Voucher”) through this web site is conditional upon your acceptance of these Terms and Conditions and all policies outlined on all Wagjag.com websites including www.Wagjag.com (referred to hereafter as “web site”). Before buying a Voucher you must register and open an account with us. We cannot issue a voucher to you without knowing vital information about you, specifically, your identity, your payment method and details, and your contact information. The information on this legal notice may be updated / revised / edited without notice at any time. As such, we recommend that you review this information periodically to ensure that you are up-to-date with our legal disclaimers and all terms & conditions, as they are binding and address vital rules, regulations and stipulations. Certain provisions of this legal notice may be superseded by explicitly designated legal notices or terms located on particular pages on the Website. Our “Website” and all related microsites are operated by Wagjag.com We are registered and incorporated Federally in Canada. We negotiate unique offers (hereafter known as “Deals”) with various suppliers of products and/or services (hereafter referred to as “Vendors”) at significant discounts, and offer those Deals to our community of buyers. The way we see it, we bridge the gap between buyers and sellers, helping consumers get a better deal, driving business growth for our Vendors, and making the world a more prosperous and affordable place to live! Our team continuously negotiates offered products and services which are referred to in these Terms and Conditions as Deals with various suppliers of goods and services on behalf of our customers. The Deals are conditional on certain requirements being met and specific terms and conditions related to them, which will be described in relation to any specific Deal on our Website and on the corresponding Voucher. It is a condition (which we may at our discretion waive) that a certain minimum number of buyers, which we call the “Tipping Point”, offer to buy Vouchers in respect of the goods or services offered as part of the Deal becoming immediately available for purchase (hereafter known as “Deal is live”). If the Tipping Point in relation to the Deal is reached, we shall - upon receipt of payment from you - issue a Voucher to you as per the Deal you paid for. If potential buyers of the Voucher in respect of a Deal are unable to complete their purchase of a Voucher due to various reasons including but not limited to the Deal not reaching the Tipping Point, and ensuring that all other Wagjag.com policies, including the Refunds and Shipping policies, are adhered to. Wagjag.com will ensure that all funds related to the incomplete purchase of a Wagjag.com Deal be not charged until the minimum number of purchases has been reached However, Wagjag.com has no obligation to ensure the continuation of the offer should the Tipping Point not be reached and no Vouchers for that deal will be issued. 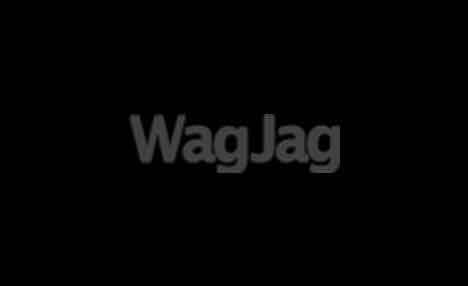 You should know that we are not the supplier of the goods and/or services that are offered as a Wagjag.com Deal. All of these products and/or services are delivered by the Vendor, on whose behalf we issue the Vouchers and who is ultimately responsible for ensuring the proper tracking of redeemed Vouchers by accessing the Vendor’s section of the web site. For each posted deal, the Vendor has agreed to ensure timely update of all redeemed Vouchers (within 24 hours of redemption) that were purchased from this Website, provided that the Tipping Point was reached. Failure to comply with the timely update clause by the Vendor will result in the Vendor encumbering all losses associated with ensuing illegitimate actions of Voucher holders. c. You grant us an irrevocable non-exclusive license to use for any purpose any content you post on our web site or otherwise communicated to us via any medium. How the contract is formed between you (Buyer) and us (Wagjag.com): When the Tipping Point is reached we shall send to you the Voucher you have purchased following the receipt of payment from you in respect of the transaction. Unless there are unforeseen circumstances preventing smooth operation of the Website, the Vouchers are e-mailed to you, the buyer within 2 hours of closure of the deal. The Vendor shall be responsible for ensuring the Deal and the goods and/or services provided thereunder comply with all applicable laws. Wagjag.com's obligations under these Terms and Conditions are solely to act as an intermediary, which issues Vouchers for a Deal that Buyers redeem at the specified Vendor. Wagjag.com does not deliver such products and/or services nor is it responsible for any actions and/or damages that ensue as a result due to the delivery (or the lack thereof) of the products and/or services by the Vendor. The Vendor is solely responsible for supplying such products and/or services and ensuring that all redeemed Vouchers in respect of the product and/or service are updated within a 24 hours of redemption. Failure to update redeemed vouchers within 24 hours of redemption will result in all ensuing potential losses being encumbered by the Vendor. You agree to indemnify and hold Wagjag.com, its officers, directors, shareholders, predecessors, successors in interest, employees, agents, subsidiaries and affiliates, harmless from any demands, loss, liability, claims or expenses (including attorneys’ fees), made against Wagjag.com by you, or any third party due to or arising out of or in connection with your use of the Website, the purchased Voucher, and/or the provision/delivery of products and/or services by the Vendor to the maximum extent permissible by law. Neither Wagjag.com nor its officers, employees or Affiliates may be held liable whether in relation to contract, warranty, tort (including negligence), product liability, tax matters or any other form of liability for any claim, damage or loss, arising from or relating to the provision of all or any goods or services sold or agreed to be supplied pursuant to the Deal. We may provide links on our Website to the websites of other companies, whether affiliated with us or not. We cannot give any undertaking, that products you purchase from third party sellers, or from companies to whose website we have provided a link on our Website, will be of satisfactory quality, and any such warranties are disclaimed by us absolutely. This disclaimer does not affect your statutory rights against the third party seller(s) and/or Vendor(s). As part of orderly delivery of service, we may disclose your customer information related to the Voucher that you have purchased for the Deal to the Vendor. If you are contracting as a Buyer, you may cancel a Voucher at any time within ten working days, beginning on the day after which you received the Voucher (provided that you have not redeemed the Voucher for the goods and services under the Deal in that time). When you indicate your intention to cancel (email/site/phone call), you will receive a full refund of the price paid for the Voucher in accordance with our Refund Policy. To cancel a Voucher, you must inform us in writing via e-mail. When your voucher is cancelled, you must also destroy the Voucher with the cancelled unique identifying number held electronically or in printed form. This provision does not affect your statutory rights. In cases where there is a pricing error in relation to the Deal which could have reasonably been recognized by you as a mis-pricing then we have the right to cancel any Voucher issued in respect of the Deal and issue to you a full refund in respect of the same. Payment for all Deals and/or Vouchers may be made only by a major credit card. When you offer to buy a Voucher, we will pre-authorize your credit card but will only charge your credit card when the deal time runs out and the deal is no longer available on the site. We guarantee that if you have any problems with a voucher you bought from our site we will give you a full refund within 10 days of purchasing the deal, and a full Wagjag credit within 30 days of the purchase. We also guarantee you a full Wagjag credit through the validity of your voucher if you are unable to use it due to the business shutting down or management changing - a truly risk free purchase offered only on Wagjag.com! c. our copyright and trademark notices and this permission notice appear in all copies. Unless otherwise stated, all copyright and other intellectual property rights relating to all materials on this Website (including text, documentation, graphical images, and photographs) are the sole property of Wagjag.com and/or our licensors. As such, any illegal or previously authorized use, extracts, or distribution of the material contained on the Website and these Terms and Conditions is strictly prohibited If you breach any of the terms in this legal notice, your permission to use the Website will automatically terminate and all obtained materials from this Website will immediately be destroyed. Wagjag.com reserves any rights that are not expressly granted under these Terms and Conditions. Wagjag.com strives to maintain the Website’s full functionality 24 hours per day. However, we shall not be liable if the Website is unavailable for any reason for any period of time. Due to many variable factors, access to the content of the Website, or to the Website itself may be unavailable at any time without notice in cases of system failure or system compromise, periodic maintenance, repairs, or any reasons beyond Wagjag.com’s direct control. Wagjag.com maintains no obligation or liability with regard to this material and you indemnify Wagjag.com of all possible actions or damages that may ensue as a result of disclosing this information on the Website. p. or any behaviour which may infringe, inconvenience or cause discomfort (whether physical or psychological) to any other individual or the rights of that individual or entity or which encourages illegal conduct and/or a criminal offence or otherwise contrary to your or Wagjag.com operations local laws and statutes. You may not transmit to Wagjag.com any data which may be deemed to be technically harmful (including, without limitation, computer viruses, logic bombs, Trojan horses, worms, harmful components, corrupted data or other malicious software or harmful data). You may not misuse the Website (including, without limitation, via hacking into our servers/data centers). You may not record any audio conversation/s while corresponding with Wagjag.com which can potentially be transmitted to a third party. Wagjag.com will fully co-operate with all law enforcement authorities or court order requesting or directing us to disclose the identity or locale of anyone posting any material in breach of these Terms and Conditions. Wagjag.com may potentially post links to third party websites on its Website. These links are being provided solely for the convenience of the user and are not intended strictly for relaying the information of one party through our Website. We have no control over third party websites and as such we waive any and all liability associated with any action and/or damages that ensue as a result of actions by the third party. As such, we do not endorse or make any representations about the third parties or any material found on their respective websites. If you decide to access these third party websites, you do so entirely at your own risk. When registering for membership on Wagjag.com, your registration is for a single user only. As such, it is against our policy for more than one (1) individual to be using the same registration. This is due to the fact that we use the information you provide during your registration to process all purchases made on our Website and to associate those purchases with your personal information. As such, we will not be held responsible for any user making purchases using the account login credentials sign-in and registration of another individual on our Website. We do not permit you to share your user name and password with any other person nor with multiple users on a network. It is YOUR responsibility to maintain the security of the password which is issued to you by Wagjag.com. Your account may get de-activated due to inactivity (greater than 1 year) under our policy. We also reserve the right to auto-expire any/all credits in case of prolonged inactivity in a registered account. We restrict our liability for any losses and/or damages you may suffer as a result of breach of this agreement and/or ensuing actions of the Vendor for which a Voucher was issued through our Website strictly to the purchase price of the Voucher. If we determine, in our discretion, that there has been a breach of these Terms and Conditions based on your interactions with our Website, we may take such action as we deem appropriate to restrict, suspend, or terminate your access to our Website which includes, but is not limited to contacting the local law enforcement authorities and taking actions against you in court of law. a. 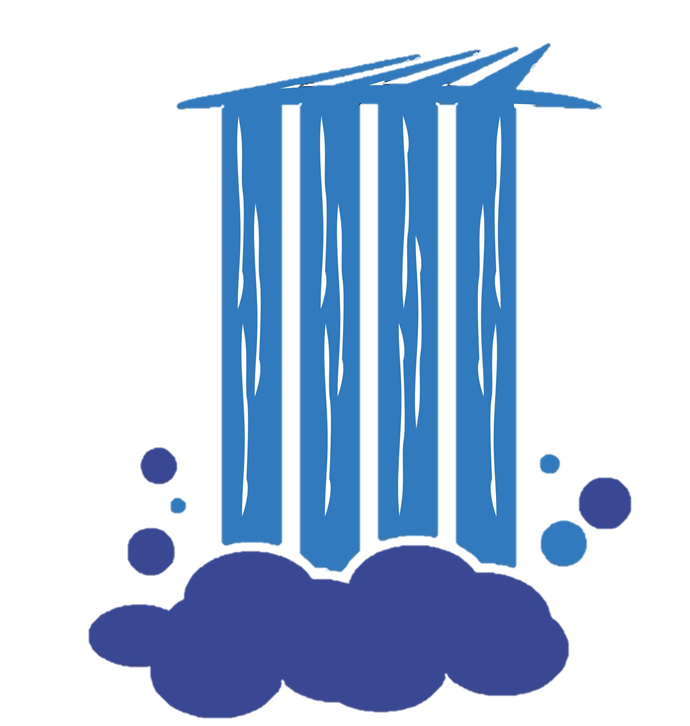 Suspension or termination of your rights and access to use our website. b. Immediate deletion of any material that is posted, uploaded, or transmitted by you to our Website. c. If a suspension or termination is determined to be excessive, a warning will be issued to you explaining your actions and how they are in breach of our Terms and Conditions and/or other policies. d. Take legal actions against you for reimbursement of all costs on an indemnity basis (including, but not limited to,reasonable administrative and legal costs) resulting from the breach. e. Disclosure of such information to law enforcement authorities as we reasonably feel is necessary. We will not be held liable for any actions taken in response to your breach of our Terms and Conditions. Wagjag.com reserves the right to use other responses which it may deem appropriate that are not already specified in sections a-e above. If you believe that any actions taken by Wagjag.com , any of its stakeholders, or users of the Website are in breach of these Terms and Conditions or in any other way infringe on your rights, please send us a formal notice (hereafter referred to as a “Notice of Complaint”) via e-mail outlining your concern. e. the basis of your complaint (e.g. a statement posted on our Website appears to be discriminatory, defamatory, abusive or otherwise in breach of these terms). c. contact the user(s) concerned with outlining the specific reasons for the actions that were taken, including a summary of your Notice of Complaint (please note that your personally identifiable information will not be disclosed to any other party to maintain your anonymity). These actions are intended to give the user in question an opportunity to make representations to us in connection with their comment(s)/content and any points you made in your Notice of Complaint; and requesting that they respond to us within 14 days. If we do not receive a response from the user(s) within 14 days, we will permanently delete the relevant comment(s)/content, and/or take further actions as we deem necessary as outlined in the Terms and Conditions. Once we have received a response from the user(s), we will make a decision within 21 days on whether to reinstate the comment(s)/content, permanently delete it/them or keep it/them suspended pending further investigation. Once we have taken our decision, we will notify you and the user(s) concerned as soon as possible. When notifying you of the decision, we will attach a copy of the user(s)’ representations (if any), redacted to protect their identity. For the purposes of openness and fairness, we will send copies of all relevant correspondence addressed to it to all parties, again redacted where appropriate to protect the user(s)’ identity. We reserve the right to revise / edit / change these Terms and Conditions from time-to-time as we see fit and depending on market conditions such that all stakeholders of Wagjag.com are protected appropriately. We do this to ensure that our business, changes in technology, laws, and regulatory requirements are upheld and adhered to as closely as possible. This Agreement and any dispute arising out of it will be governed by the laws of the Province of Ontario (hereafter referred to as “Provincial Laws”) and the laws of the Government of Canada (hereafter referred to as “Federal Laws”). Any dispute or claim arising out of or in connection with this Agreement or its formation (including non-contractual disputes or claims) shall be subject to the exclusive jurisdiction of the courts with jurisdictions over Provincial or Federal Laws. If you have any questions or concerns about these Terms and Conditions or any part of Wagjag.com ’s policies please contact us directly via e-mail at: [email protected] We will respond to your query within 5 business days. THE WAGJAG.COM GIVEAWAY(THE “CONTEST”) IS INTENDED TO BE CONDUCTED IN CANADA ONLY AND SHALL BE CONSTRUED AND EVALUATED ACCORDING TO APPLICABLE CANADIAN LAW. NO PURCHASE IS NECESSARY. PARTICIPANTS MUST BE THE AGE OF MAJORITY OR OLDER IN THEIR PROVINCE OR TERRITORY OF RESIDENCE AT THE TIME OF ENTRY. VOID IN WHOLE OR PART WHERE PROHIBITED BY LAW. ENTRY IN THIS CONTEST CONSTITUTES ACCEPTANCE OF THESE CONTEST RULES (THE “CONTEST RULES”). (c) be a registered member of Wagjag.com (“Wagjag”) and have a valid Wagjag account (the “Wagjag Account”). The Wagjag Account must be in good standing. If you are not a registered member of Wagjag, you can visit www.Wagjag.com (the “Wagjag Website”) and register for a free account. Employees of Wagjag.com (the "Sponsors"), their respective affiliates, subsidiaries, related companies, advertising and promotional agencies, and the household members of any of the above, are not eligible to participate in the Contest. (d) have never committed or participated in any fradulent or deceptive practices on Wagjag.com or any of its subsidiaries. The designated dates of the contest will be listed under the 'Deal Details' section of the contest, (the "Contest Period") after which time the Contest will be closed and no further entries shall be accepted. (a) The Sponsors will run the Contest on Wagjag.com. There is no charge to become a member of Wagjag.com or to become an account holder on Wagjag.com. Entrants will be required to visit the Wagjag.com Website, log in to their account using their Wagjag.com user name and password. Once logged in, entrants will be required to purchase a “$0 deal” on the Wagjag.com Website by clicking on the “Buy” button on the $0 deal page. If an entrant does not have an existing Wagjag account, they will be able to create one by clicking on the “Sign Up” link on the top right hand corner of the Wagjag Website. Once registered, entrants will be required to purchase the $0 deal as indicated above. Entrants are not required to provide their credit card or other payment information at any time. (b) Limit of one (1) entry per person per day during the Contest Period. Multiple entries in a single day will not be accepted and only the first eligible entry will be considered. (c) All entries become the sole property of the Sponsors and none will be returned for any reason. Entries must be received no later than the end of the Contest Period. Entries will be declared invalid if they are late, illegible, incomplete, damaged, irregular, mutilated, forged, garbled or mechanically or electronically reproduced. No communication or correspondence will be exchanged with entrants except with those selected for a Prize. (d) Entries submitted by mail must be received by the Sponsors no later than the end of the Contest Period, and must be in a separate outer envelope bearing sufficient postage. (e) Entries received online shall be deemed to be submitted by the authorized account holder of the email address associated with the entry. For the purpose of the Contest Rules, “authorized account holder" of an e-mail address is defined as the natural person who is assigned to an e-mail address by an Internet access provider, on-line service provider, or other organization responsible for assigning e-mail addresses for the domain associated with the submitted e-mail address. Each selected entrant may be required to provide the Sponsors with proof that the selected entrant is the authorized account holder of the e-mail address associated with the winning entry. (a) Grand Prize. There is one (1) grand prize (each, a “Grand Prize”) available to be won by the Grand Prize winner (the “Grand Prize Winner”) as outlined in the "Deal details" section of the contest. (b) Winner is not entitled to monetary difference between actual Prize value and stated approximate Prize value, if any. (c) Once the Winner has been contacted by the Sponsors, the Winner will have a period of seven (7) days to accept the offer. Failure to do so will result in the offer being withdrawn authomatically and trasnferred to the next eligible candidate as pre-determined by the Sponsors. (d) Prizes will be distributed within thirty (30) days after each Winner has been successfully contacted and notified of his/her Prize and fulfilled the requirements set out herein. (e) Prizes must be accepted as awarded and cannot be transferred, assigned, substituted or redeemed for cash, except at the sole discretion of the Sponsors. Any unused portion of a Prize will be forfeited and have no cash value. The Sponsors reserve the right, in its and their sole discretion, to substitute a prize of equal or greater value if a Prize (or any portion thereof) cannot be awarded for any reason. (a) On or about the contest end date mentioned in the "Deal details" section of the contest, in Toronto, Ontario, one (1) entrant will be selected by a random draw from all eligible entries received during the Contest Period. Each entrant shall be eligible to win only one (1) Grand Prize. The odds of being selected as a potential winner are dependent upon the number of eligible entries received by the Sponsors. Before being declared a Winner, the selected entrant shall be required to correctly answer, without assistance of any kind, whether mechanical or otherwise, a time-limited mathematical skill-testing question to be administered during a pre-arranged telephone call or by e-mail, to comply with the Contest Rules and sign and return the Release (described below). (b) If, as a result of an error relating to the entry process, drawing or any other aspect of the Contest, there are more selected entrants than contemplated in these Contest Rules, there will be a random draw amongst all eligible Prize claimants after the Contest’s closing date to award the correct number of Prizes. Winner will be required to execute a legal agreement and release (the “Release”) that confirms Winner’s: (i) eligibility for the Contest and compliance with these Contest Rules; (ii) acceptance of the Prize as offered; (iii) release of each of the Sponsors and their respective parent companies, subsidiaries, affiliates and/or related companies and each of their employees, directors, officers, suppliers, agents, sponsors, administrators, licensees, representatives, advertising, media buying and promotional agencies (collectively, the “Releasees”) from any and all liability for any loss, harm, damages, cost or expense arising out of participation in the Contest, participation in any Contest-related activity or the acceptance, use, or misuse of any Prize, including but not limited to costs, injuries, losses related to personal injuries, death, damage to, loss or destruction of property, rights of publicity or privacy, defamation, or portrayal in a false light, or from any and all claims of third parties arising therefrom; and (iv) grant to the Sponsors of the unrestricted right, in the Sponsors’ collective or individual discretion, to produce, reproduce, publish, broadcast, communicate by telecommunication, exhibit, distribute, adapt and otherwise use or re-use the Winner’s name, photograph, likeness, voice and biography, in any and all media now known or hereafter devised, in connection with the Contest and the promotion and exploitation thereof. The executed Release must be returned within two (2) business days of verification as a Winner or the selected entrant will be disqualified and the Prize forfeited. By entering the Contest, entrant releases and holds Releasees harmless from any and all liability for any injuries, loss or damage of any kind to the entrant or any other person, including personal injury, death, or property damage, resulting in whole or in part, directly or indirectly, from acceptance, possession, use or misuse of any Prize, participation in the Contest, any breach of the Contest Rules, or in any Prize-related activity. The entrant agrees to fully indemnify Releasees from any and all claims by third parties relating to the Contest, without limitation. The Sponsors assume no responsibility or liability for lost, late, unintelligible/illegible, falsified, damaged, misdirected or incomplete entries, notifications, responses, replies or any Release, or for any computer, online, software, telephone, hardware or technical malfunctions that may occur, including but not limited to malfunctions that may affect the transmission or non-transmission of an entry. The Sponsors are not responsible for any incorrect or inaccurate information, whether caused by website users or by any of the equipment or programming associated with or utilized in the Contest or by any technical or human error which may occur in the administration of the Contest. The Sponsors assume no responsibility for any error, omission, interruption, deletion, defect, delay in operation or transmission, communications line failure, theft or destruction or unauthorized access to, or alteration of, entries. The Sponsors are not responsible for any problems, failures or technical malfunction of any telephone network or lines, computer online systems, servers, providers, computer equipment, software, e-mail, players, or browsers, on account of technical problems or traffic congestion on the Internet, at any website, or on account of any combination of the foregoing. The Sponsors are not responsible for any injury or damage to entrant or to any computer related to or resulting from participating or downloading materials in this Contest. Entrant assumes liability for injuries caused or claimed to be caused by participating in the Contest, or by the acceptance, possession, use of, or failure to receive any Prize. The Sponsors assume no responsibility or liability in the event that the Contest cannot be conducted as planned for any reason, including those reasons beyond the control of the Sponsors, such as infection by computer virus, bugs, tampering, unauthorized intervention, fraud, technical failures, or corruption of the administration, security, fairness, integrity or proper conduct of this Contest, the Contest Website and/or Twitter.com. By participating in the Contest, each entrant agrees to be bound by the Contest Rules, which will be posted at the Contest Website throughout the Contest Period. Entrant further agrees to be bound by the decisions of the Sponsors, which shall be final and binding in all respects. The Sponsors reserve the right, in their sole discretion, to disqualify any entrant found to be: (a) violating the Contest Rules; (b) tampering or attempting to tamper with the entry process or the operation of the Contest, the Contest Website, or any canada.com website; (c) violating the terms of service, conditions of use and/or general rules or guidelines of any canada.com property or service; and/or (d) acting in an unsportsmanlike or disruptive manner, or with intent to annoy, abuse, threaten or harass any other person. CAUTION: ANY ATTEMPT TO DELIBERATELY DAMAGE THE CONTEST WEBSITE, CANADA.COM OR ANY RELATED WEBSITE OR UNDERMINE THE LEGITIMATE OPERATION OF THE CONTEST MAY BE A VIOLATION OF CRIMINAL AND CIVIL LAWS. SHOULD SUCH AN ATTEMPT BE MADE, THE SPONSORS RESERVE THE RIGHT TO SEEK REMEDIES AND DAMAGES TO THE FULLEST EXTENT PERMITTED BY LAW, INCLUDING BUT NOT LIMITED TO CRIMINAL PROSECUTION. (a) By participating in the Contest, entrant: (i) grants to the Sponsors the right to use his/her name, mailing address, telephone number, e-mail address and Twitter user name (“Personal Information”) for the purpose of administering the Contest, including but not limited to contacting and announcing the Winners; and (ii) acknowledges that the Sponsors may disclose his/her Personal Information to third-party agents and service providers of any of the Sponsors in connection with any of the activities listed in (i) above. All intellectual property, including but not limited to trade-marks, trade names, logos, designs, promotional materials, web pages, source code, drawings, illustrations, slogans and representations are owned by Wagjag.com, the Sponsors and/or their affiliates as applicable. All rights are reserved. Unauthorized copying or use of any copyrighted material or intellectual property without the express written consent of its owner is strictly prohibited. Subject to the jurisdiction of the Régie des alcools, des courses et des jeux in Quebec, Sponsors reserve the right, in their sole discretion, to terminate the Contest, in whole or in part, and/or modify, amend or suspend the Contest, and/or the Contest Rules in any way, at any time, for any reason without prior notice. These are the official Contest Rules. The Contest is subject to applicable federal, provincial and municipal laws and regulations. The Contest Rules are subject to change without notice in order to comply with any applicable federal, provincial and municipal laws or the policy of any other entity having jurisdiction over the Sponsors. All issues and questions concerning the construction, validity, interpretation and enforceability of the Contest Rules or the rights and obligations as between the Entrant and the Sponsors in connection with the Contest shall be governed by and construed in accordance with the laws of the province of Ontario including procedural provisions without giving effect to any choice of law or conflict of law rules or provisions that would cause the application of any other jurisdiction’s laws. In the event of any discrepancy or inconsistency between the terms and conditions of the Contest Rules and disclosures or other statements contained in any Contest-related materials, including but not limited to the Contest entry form, or point of sale, television, print or online advertising, the terms and conditions of the Contest Rules shall prevail, govern and control. In the event of any discrepancy or inconsistency between the English language version and the French language version of the Contest Rules, the English version shall prevail, govern and control. This Contest is in no way sponsored, endorsed or administered by, or associated with Twitter. Each entrant will be providing his/her Personal Information to the Sponsors and not Twitter. Twitter is a registered trade-mark of Twitter, Inc. All rights are reserved.